More on 'Endhiran'. As we knew 'Endhiran' songs will be out in July and the place would be Malaysia and not Dubai as expected before. 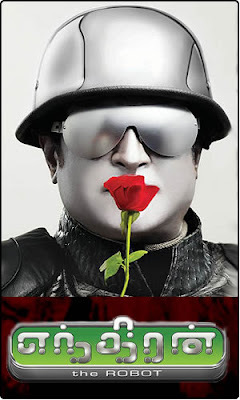 Now the buzz is 'Endhiran' will not hit the theatres in August as expected but will be a Diwali cracker for sure. Shankar has informed the producer of 'Endhiran' that the film will not be ready for August 15 release. The reason? He will go for the final song shoot only on June 30 and the post-production special effects for the song will take its time. So it will be August end for the first copy of 'Endhiran' to be ready. And with a two month promotional schedule added the right time for release will be Diwali, Shankar feels. Baba counting begins as the 'Endhiran' unit is waiting for Aishwarya Rai for the final song.